Heavey iron feet Price:Only vip can see, please Register and Log In. 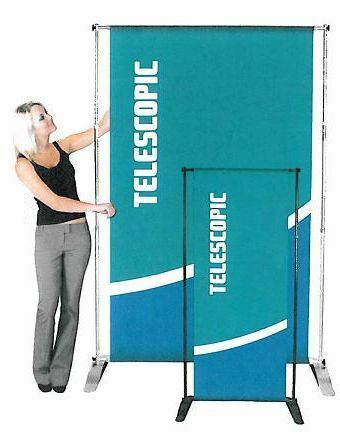 If you’re looking for distinctive banner display that’s going to draw attention to your message whether you are exhibiting at a trade show or marketing event, or trying to create a buzz for your sale or business, the 2.4x2.4m Telescopic banner stand will get the job done for you and then some! 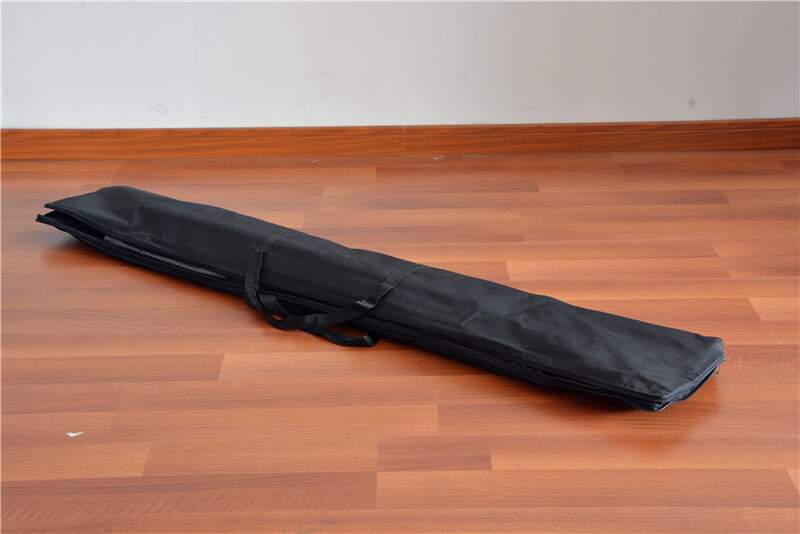 Available in aluminum hardware of black, the Telescopic banner stand is highly visible thanks to the full color, custom printed stay flat vinyl banner with the options of single or double sided print. 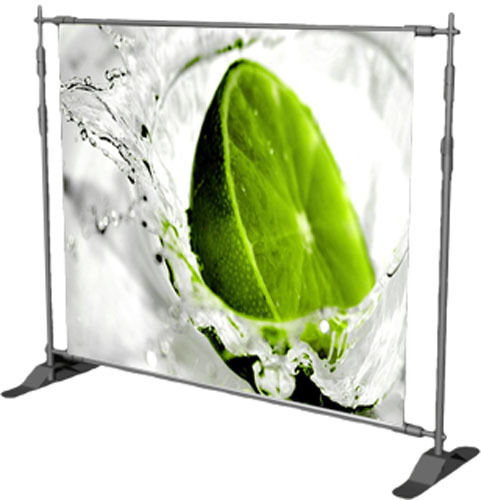 Banner visibility is 8'W x 8'H per side of continuous print on the sty flat vinyl banner. 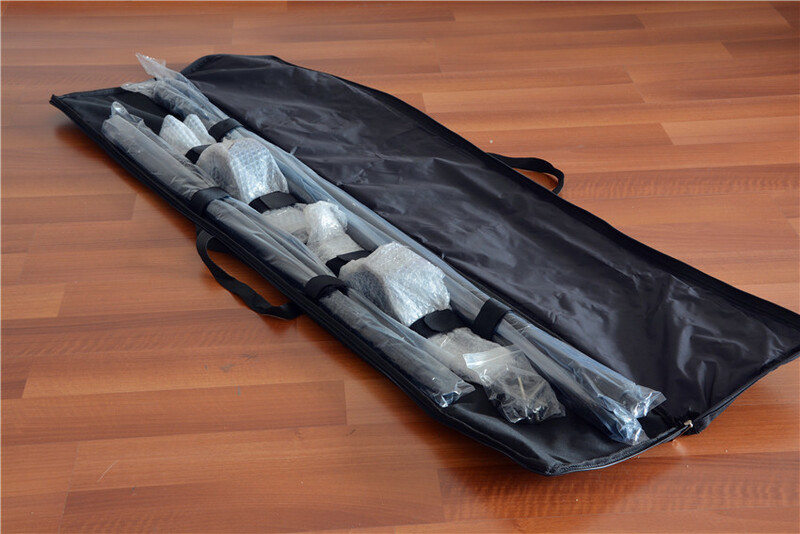 Sleeve 2.5" are sewn to the top and bottom of the banners free of charge and slide over the top and bottom crossbars of the hardware for easy displaying of the banner for your Telescopic Banner Stand. 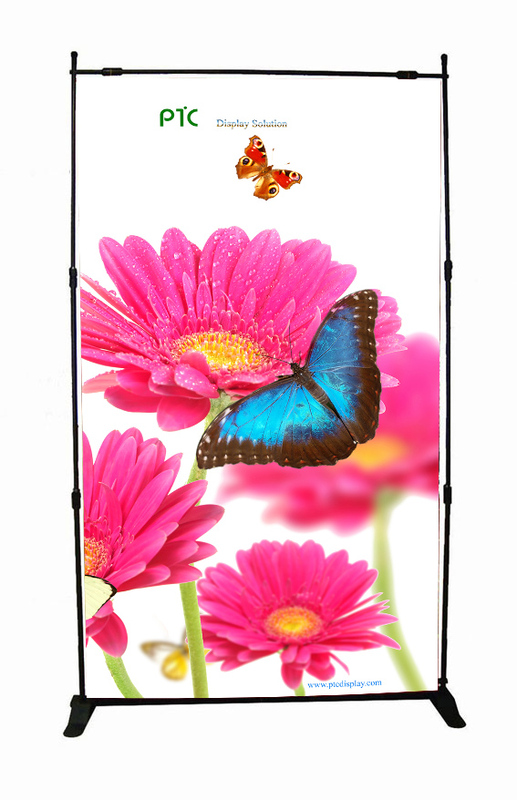 The aluminum alloy hardware is telescopic and can adjust from 95cm to 240cm in height and 128cm to 240cm in width so this eye catching display can show off your message in a prominent way. 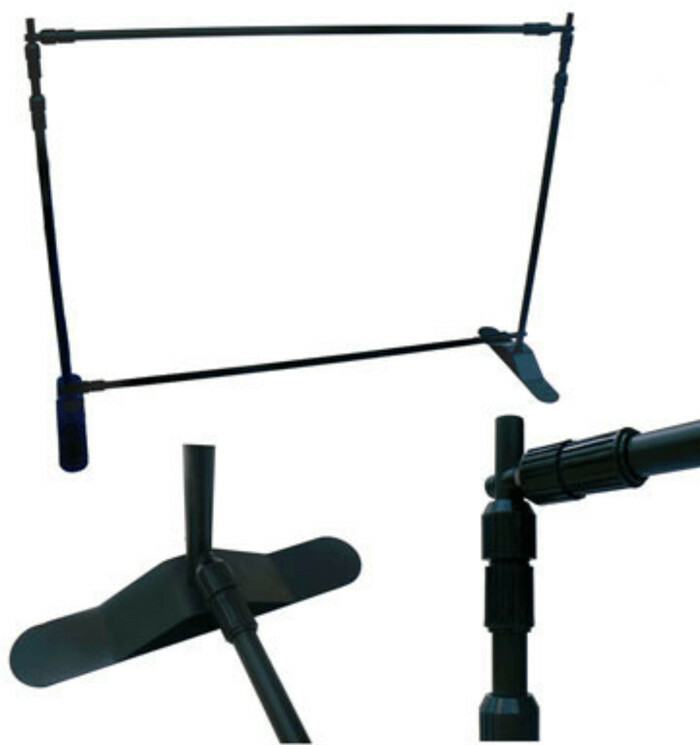 Easily put together the Telescopic Banner Stand display by assembling the outer frame on the twoblack heavy bases. 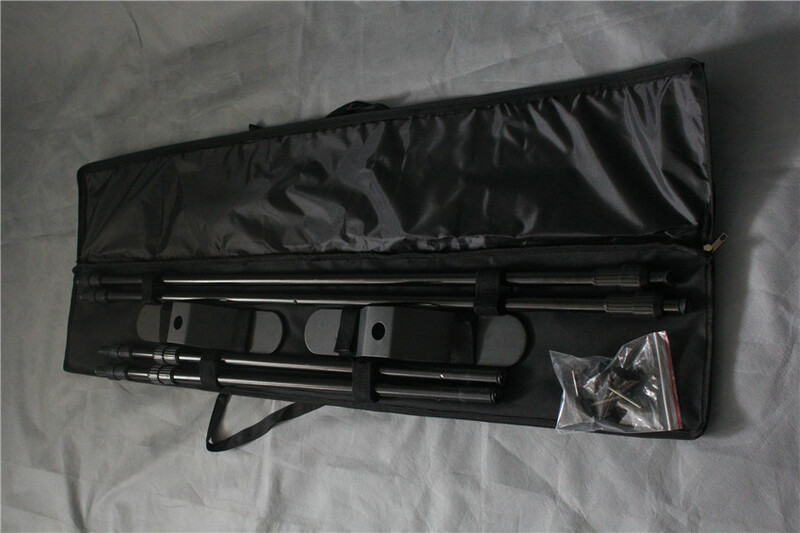 Connect the top and bottom crossbars into the openings of the aluminum outer frame bars. 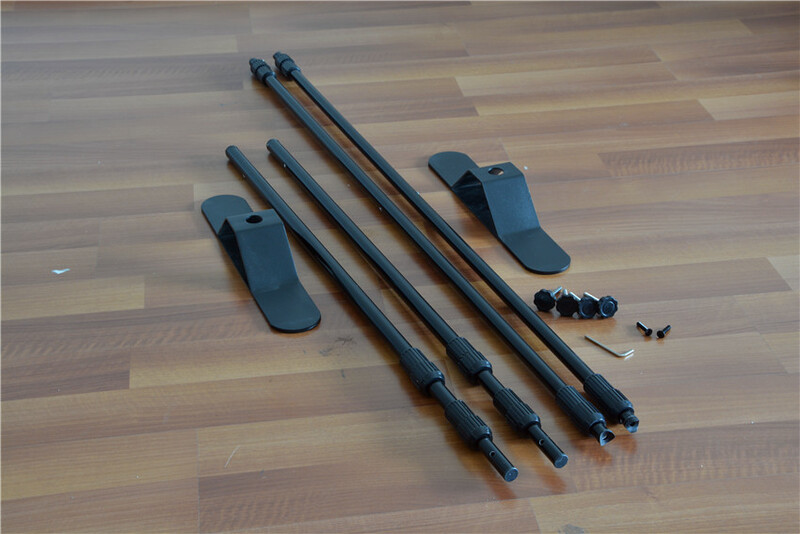 Two plastic fastener caps are included in your kit and secure the both sides of the upper and lower crossbar to the outer, fixed width frame and keep the banner taut and impressive. 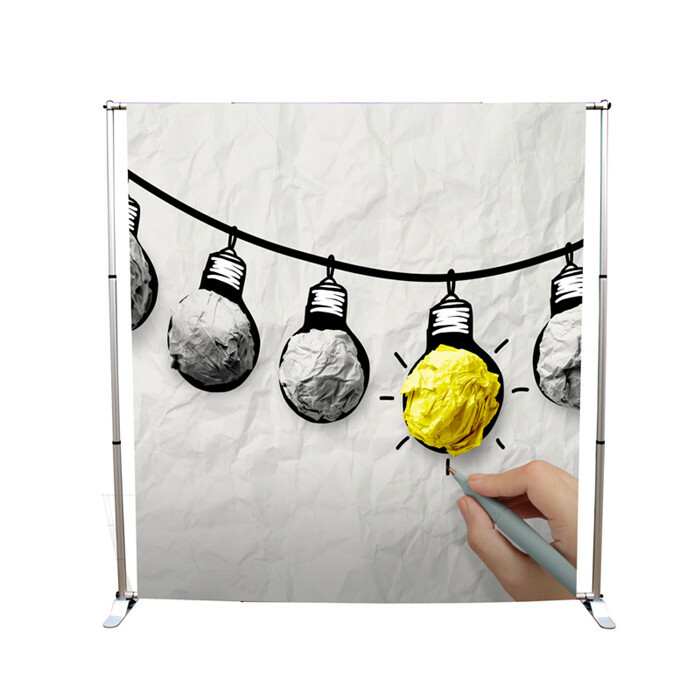 Order the Telescopic Banner Stand for a noticeable display that can be displayed in virtually any setup and is portable so it can be set up anywhere you need to share your message!